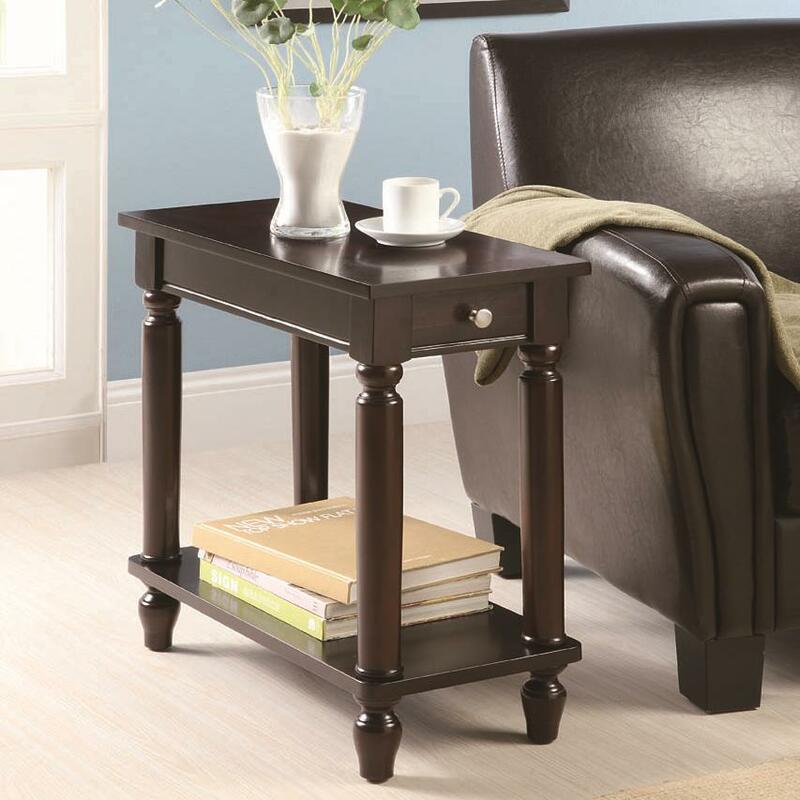 Place this chairside table beside your sofa or easy chair for a charming little accent piece. Crafted with a rich cappuccino finish, it is rectangular in shape with a subtle, traditional design. It is lifted on small feet and features turnings on each leg. A small drawer is decorated with a single hardware knob and on the bottom there is one shelf for home accents or accessories. The Accent Tables Cappuccino Chairside Table with Lower Shelf by Rooms Collection Two at Rooms Furniture in the Houston, Sugar Land, Katy, Missouri City, Texas area. Product availability may vary. Contact us for the most current availability on this product.